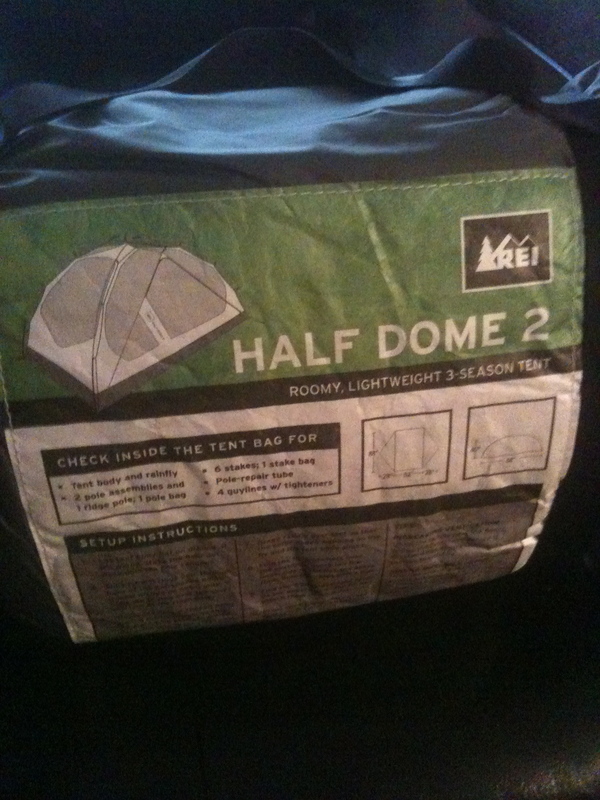 I headed to REI a few weeks ago after receiving my 2010 dividend and a sweet 20% off any item coupon. I had no idea what I was going to buy… but knew I would find something awesome in that store, as I usually do. I spoke with an extremely helpful staff member who excitedly told me all about the great backpacking tents available – and that my 20% coupon would go far on that type of purchase. The employees at REI are always extremely helpful and seem generally glad to be at work – so big old props to REI for being awesome. 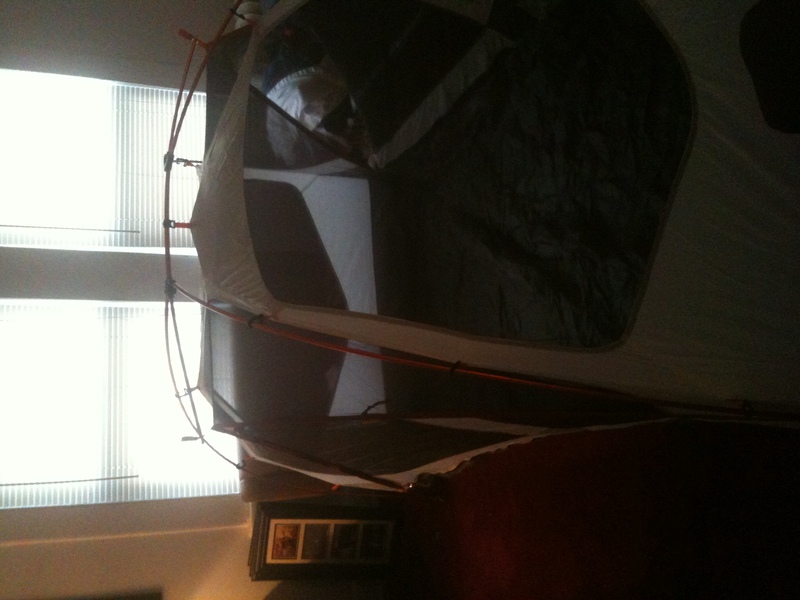 I walked out with a new tent and tent footprint for an unbelievable price – I give you the REI half dome review. I had plans to go four wheeling with some buddies the following weekend and knew that it would be a great weekend to test out the tent. As always, it’s good to test equipment BEFORE using it in the field. There is nothing worse than setting up camp after a long day of hiking, kayaking, or Jeeping and discovering that you’re missing a key component of your tent. I’ve never been a ‘pro’ at tent assembly and thought it’d be a good idea to carefully read all of the directions before assuming that I could just ‘figure it out.’ I checked that all pieces were present, glanced at the clock, and got to work setting up the tent in my living room. The assembly uses two main support poles with a single cross pole – and best of all, the poles and grommets are color coded for easy assembly! The orange pole end goes in the orange grommet, the black in the black, and so on… and this goes for the footprint, and rain fly, as well as the tent itself. My favorite feature of the half dome 2 are the dual vestibules. For those not in the know – this means that there are entrances on either side of the tent. If you’re sharing this 2 person tent (yes it is actually big enough for two adults and some gear) with another person – you can exit or enter the tent without climbing over the other person. The half dome 2 went up even quicker in the field (especially with help!) We had the tent up in under 10 minutes – and had plenty of time to help our friends setup their tent. We had a little bit of rain – and it was a little chilly – but the half dome kept us dry all night! The REI half dome performed as advertised (if not better) and easily earns KevinsPocket’s FishingHat rating. FIELD TESTED – POCKET APPROVED!! !